Great quotes and that’s a lovely bedroom! 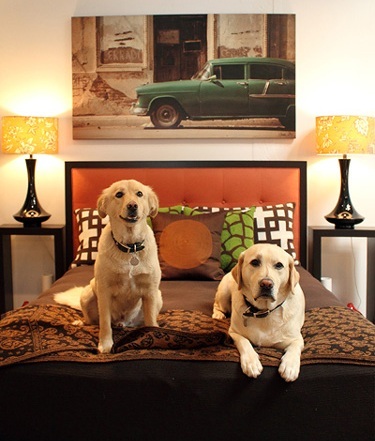 Nice photo of the dogs and the bedroom. Enjoy your blog so much. Aww, this is the cutest post. Dogs are so sweet. They are my best friends, I have two and love them dearly… this photos speaks thousands! Oh, I would LOVE to get a copy of that book. I love animlas, dogs are one of them! I totally believe pets can make our lives more meaningfull, filled it with love and happiness in a way noone or nothing else really could! Your blog is just great! So happy to read all these interesting articles. How extremely cute they are!!! I love this photo.. and the sentiment, too.